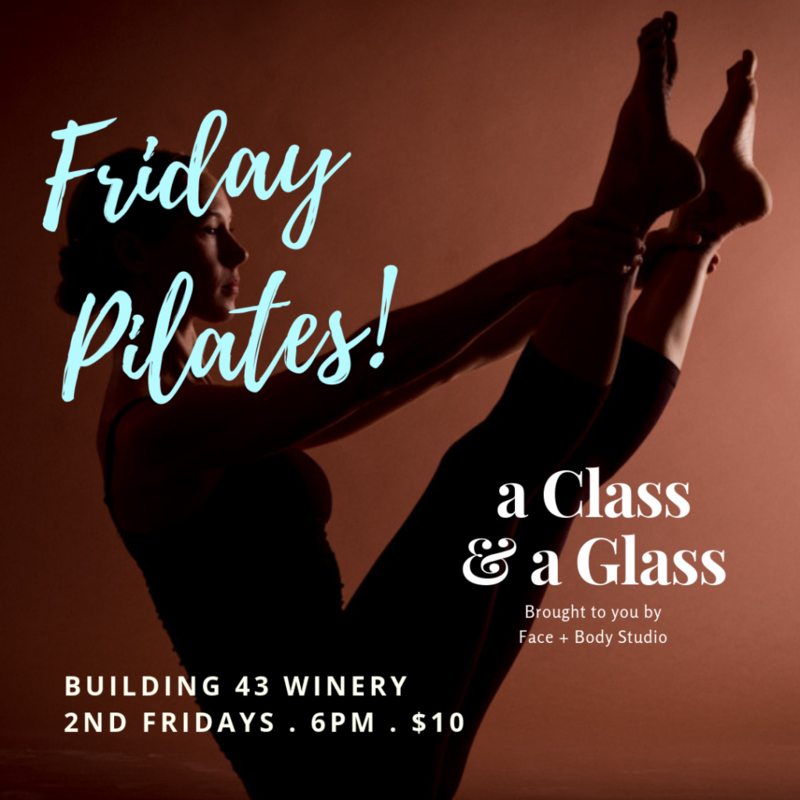 Join us for 2nd Fridays, A Class & A Glass in our tasting room! 60 minute Pilates mat class + a glass of your choice, all for only $10… BYO cash + mat, and you’re good to go. 6pm with Face + Body Studio in Alameda, 2nd Friday of each month. See you there!